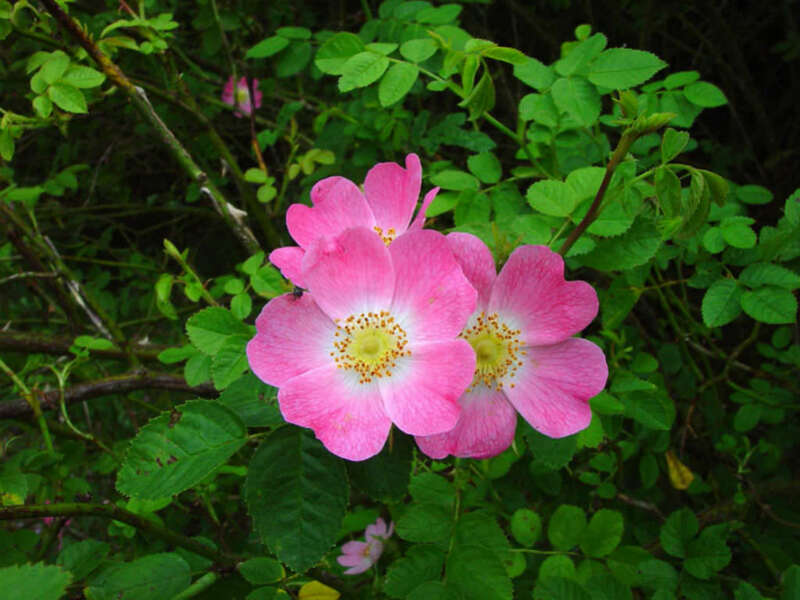 Rosa rubiginosa is a dense, deciduous shrub up to 10 feet (3 m) high and across, with the stems bearing numerous hooked prickles. The foliage has a strong apple-like fragrance. The leaves are pinnate, up to 3.6 inches (9 cm) long, with 5 to 9 rounded to oval leaflets with a serrated margin, and numerous glandular hairs. 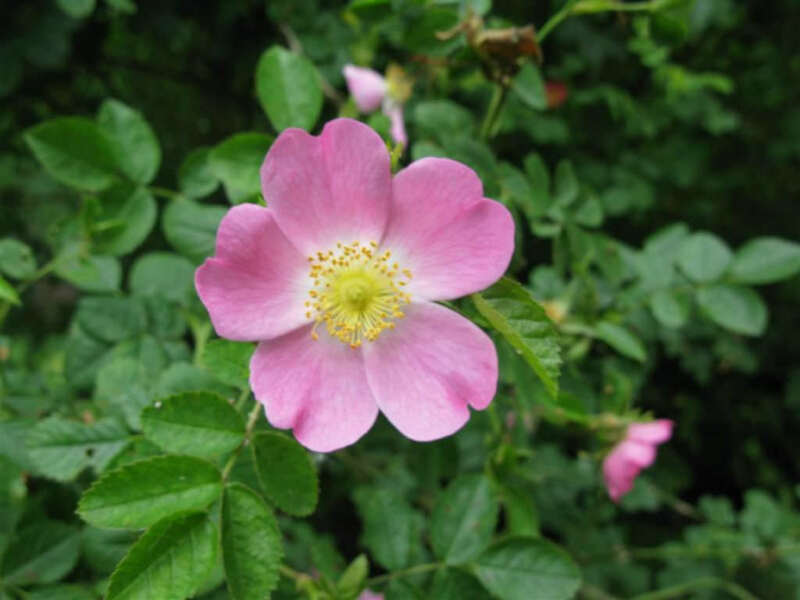 The flowers are up to 1.2 inches (3 cm) in diameter, the 5 petals being pink with a white base, and the numerous stamens yellow. 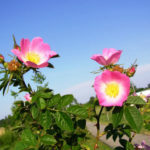 The flowers are produced in clusters of 2 to 7 together, from late spring to mid summer. The fruit is a globose to oblong red hip, up to 0.8 inch (2 cm) diameter. 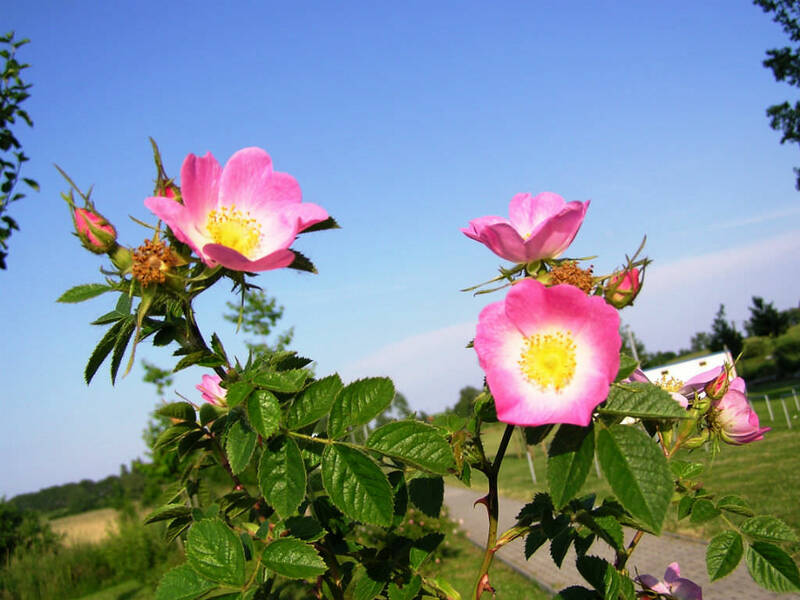 When growing roses, it’s important to choose a site receiving at least 6 hours of sun each day. 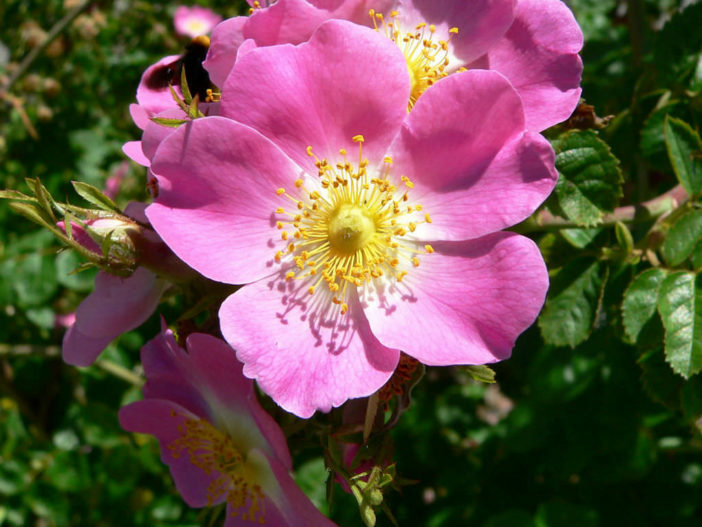 Rose bushes must also be located in well-drained, fertile soil. 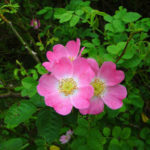 Plant dormant roses in early spring (or fall). Potted plants can be planted any time between spring and fall, but preferably spring. If you’re planting bare root roses, presoak them in water for at least 24 hours prior to placing them in the ground. 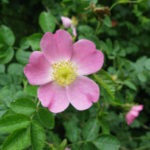 Both bare root and potted rose bushes need to be planted about 2 feet (60 cm) deep, with the hole large enough to accommodate the roots. Backfill the hole with soil, adding some well-rotted manure in with it and water thoroughly. Then mound up additional soil around the base of the plant. Note that this is not necessary for actively growing roses.